Leaving Budapest to start the summer break following the Hungarian Grand Prix weekend, the Formula 1 driver market for 2019 seemed to have a handful of certainties. The most obvious was that Daniel Ricciardo was due to extend his Red Bull contract after interest from Ferrari had cooled and Mercedes had opted to continue with its existing line-up. And yet in a couple of weeks, things have turned around quickly, with the moves threatening to leave Mercedes’ young drivers as the biggest losers in a silly season that is becoming especially silly for some and very serious for others. Ricciardo’s shock decision to jump ship to Renault for 2019 blindsided most in the paddock, including his Red Bull boss Christian Horner, who initially thought it was a wind-up. The French marque’s quick confirmation that Ricciardo would be partnering Nico Hulkenberg in 2019 left one man particularly in the cold: Esteban Ocon. Ocon has impressed during his season-and-a-half with Force India, but while he was not deemed ready enough for a top Mercedes F1 seat, its motorsport boss, Toto Wolff, was nevertheless looking for ways to aid the youngster’s advancement. Wolff said in Hungary that Mercedes “wouldn’t want to stand in the way” of Ocon’s progression, even if that meant him racing for a rival manufacturer. A deal with Renault was understood to have been agreed in principle for 2019, giving him a chance to edge up the grid. Speaking with Ocon in Hungary, he seemed super-relaxed about his future. Mercedes had been the team that picked him him from his lowest point at the end of 2014, when after winning the European F3 title ahead of Max Verstappen, he was without a drive and left assessing whether he could continue racing at all. Ocon’s trust in his bosses was unequivocal. But as the summer break began, Ocon’s hopes for 2019 were dealt a double blow. Not only did Ricciardo announce his surprise shift to Renault, but Force India also confirmed its exit from administration thanks to a consortium including Lawrence Stroll, father of current Williams driver, Lance. For the protection of Ocon’s current team’s future to potentially act as bad news shows the strange nature of the 2019 driver market. Not only had the seat he wanted gone, but Ocon was now left with slimmer odds of retaining his existing seat with Force India. 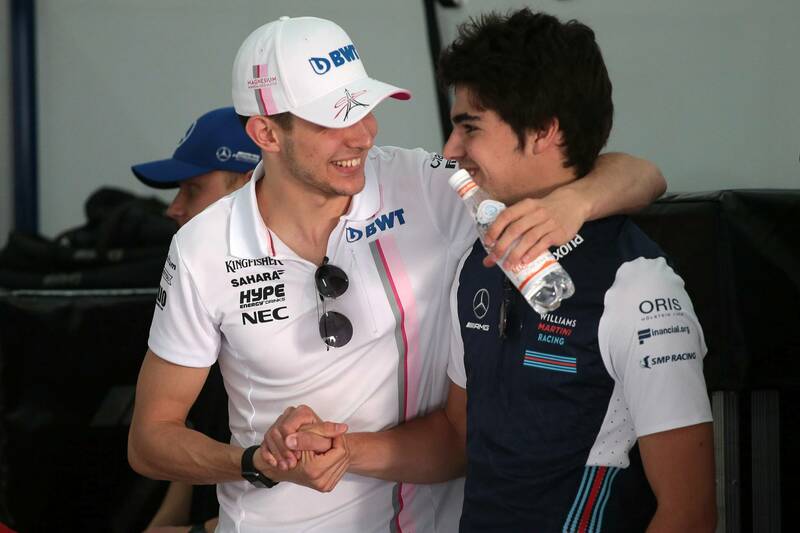 The presence of Stroll Sr. as part of the consortium bailing Force India out should make the announcement of his son as one of its 2019 drivers a formality in the weeks to come. Stroll has been evidently frustrated with Williams’ on-track struggles through 2018, the team having slumped to the bottom of the constructors’ championship and with little hope of scoring points again this season. The chance to prove his ability in a decent midfield team is something the young Canadian will jump. The driver taking the second seat remains the question mark. While Ocon has been impressive at Force India, it is his teammate, Sergio Perez, who has scored more points in their time together, picking up a podium finish earlier this year, and also brings a decent level of backing through the team via Telmex. Perez is also understood to have closer ties to the new consortium than Ocon. Perez was the one who triggered the legal action in the first place that led to Force India entering administration, having been approached by “a couple of team members” to make the move in order to save the team. Mission accomplished, it would seem. A Stroll/Perez line-up at Force India next year would leave Ocon out in the cold, and with just one other Mercedes customer team he could end up at: Williams. It would act as a big backward step, but if there is no room at Force India, it’s hard to see where else Ocon could end up. Mercedes may have been able to place Pascal Wehrlein at Sauber in 2017, but it was a time when the team was facing serious struggles and was nowhere near as close to Ferrari as it is now. 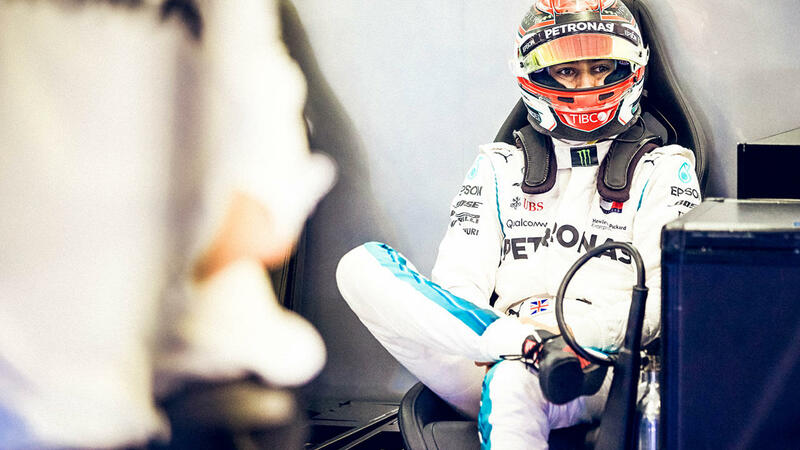 There are fewer places for the Silver Arrows to place young drivers in 2019 than before. This also spells bad news for George Russell, who currently leads the Formula 2 championship by 12 points. He’s been the outstanding driver in the feeder series so far this year, with his lead arguably deserving to be much more, only for a number of issues on his car to cost him some decent point hauls. “I purely think we just need to keep on doing what we are doing really. If you keep on winning and keep on doing stellar performances, teams are going to be interested,” Russell said. Russell is making all of the right noises but if there isn’t a seat for him to take an F2 title victory could leave him in the lurch. And unlike in previous years where Mercedes may have considered putting its outstanding young drivers into DTM - such as with Ocon after winning the GP3 title in 2015 - as of next year, Mercedes isn’t a thing in DTM any more. Its focus will instead shift over to Formula E, where the satellite HWA team will debut this December before evolving into the full Mercedes work entry the following winter. Only one driver has gone from Formula E to F1: Pierre Gasly, who stood in for Sebastien Buemi in two races last summer. It’s hardly a conventional route. So would Russell follow the path trodden by GP2 champions Gasly and Stoffel Vandoorne, and head to Japan to race in Super Formula? Or could Mercedes try and shoe-horn him into a seat elsewhere on the F1 grid, perhaps at Toro Rosso, where there is a serious driver shortage on the cards for 2019, especially if Gasly gets the expected nod at Red Bull? There may still be a way for Mercedes’ young guns to benefit from the Stroll-led takeover. The idea of a closer alliance between Williams and Mercedes, similar to that of Ferrari and Haas, has been floated in the past. But it has always been met with unease from Williams. While there are talks over a gearbox supply for 2019, the kind of full-blown Ferrari/Haas partnership is not going to happen. So could the new bosses at Force India try and broker a deal to go that way, drawing close to Mercedes? This could give the German manufacturer a chance to have a greater say in the driver line-up, much as Ferrari does at Sauber, and keep Ocon’s seat secure. Russell could then slot in at Williams, potentially alongside Sergey Sirotkin. This would theoretically leave Haas as Perez’s best option, should the team opt to ditch Romain Grosjean. Mercedes may have its works drivers sorted for 2019 but its focus will now turn to the next generation. Ocon and Russell have hardly put a foot wrong this year - yet both will return from the summer break less certain of their future plans than at the start of it.